I’ve primarily spent time covering the tools and services to create Lifestreams on this site. What I haven’t spent much time on, and don’t see many others doing, is finding some more innovative and interesting sources of data for us to add to a Lifestream. A Lifestream is only as good and interesting as the content we provide in them. I want to start providing more info in this area, so today I thought I’d start by choosing one of my favorite sources to add personal product information to my Lifestream. 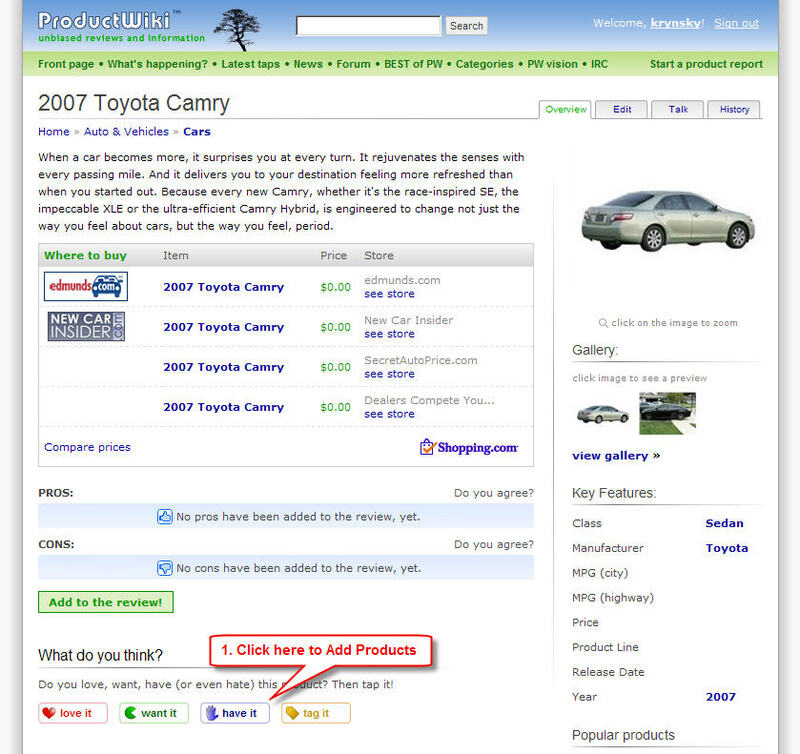 ProductWiki.com is pretty much what you’d gather from the name. Their vision is to be “the most comprehensive product information resource supported by a passionate community”. They’ve provided a fantastic site with very rich product pages that allow users to contribute products and all types of associated content including reviews, ratings, deals, and comments. The site is very innovative and worthy of exploration regardless of it’s ability to be used as a Lifestreaming source. 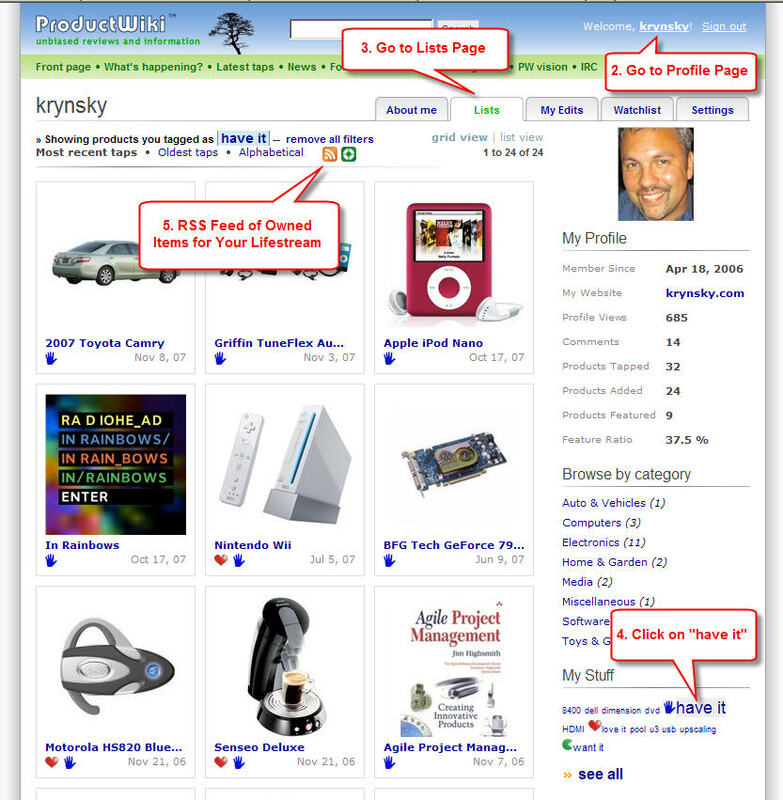 I’m an avid tech and gadget follower so I use the site to research and contribute product information. But as it relates to Lifestreaming, I provide a feed of the products I own. So as I add new products I own to my profile at ProductWiki, they are automatically added to my Lifestream. Even cooler is the fact that you can use multiple tags along with “have it” to apply to products within your profile. They also have “want it” (could create a source of just items your planning to buy) and “love it” as default tags that you can use as well. You can also create your own tags for products as well. So let’s say you wanted to create a list for a specific product category of items you own such as “dvd” you can do that as well. The site is extremely flexible in those regards. Are there any unique sources that you are using in your Lifestream? Please post them in the comments below. This would be my lifestream for the past 3 weeks: coding.. more coding. coded some more. reset system from restore point. more coding.